Tingling, also known as paresthesia, is the prickling sensation usually felt in the hands, arms, legs, or feet. Tingling hands in children is usually harmless and may be the result of a number of different causes. In some cases, severe and prolonged tingling may be a sign of a more serious underlying condition, especially when accompanied with other symptoms. Children may experience tingling hands for no known particular reason, or because of an underlying condition. Tingling is most often caused in a particular part of the body because of inactivity in that region. Other causes include diabetes, migraines, seizures, under active thyroid, abnormal levels of calcium, potassium, or sodium in your body, a lack of vitamin B-12 or other vitamin, animal and insect bites, and seafood toxins. Immediately call 911 if your child is experiencing weakness or paralysis along with numbness or tingling, if tingling occurred just after a head, neck, or back injury, if your child is confused or has lost consciousness or if your child has slurred speech, a change in vision, or difficulty walking. You should call your child's pediatrician if your child's tingling has no obvious cause, if your child is experiencing pain in his or her neck, forearm, or fingers. 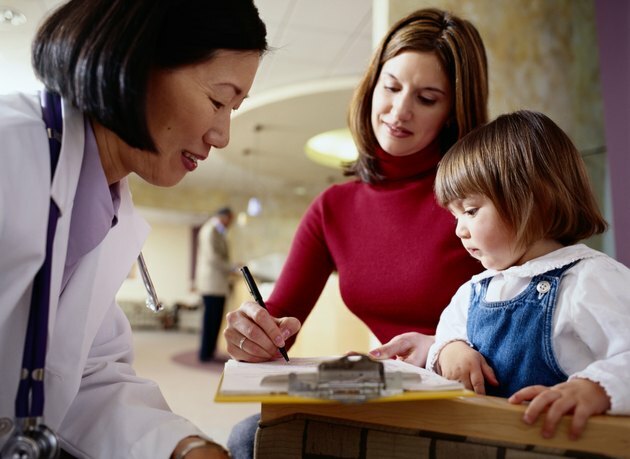 Urinating more than usual, the development of a rash, dizziness, muscle spasms, or other unusual symptoms are also reasons to consult your child's pediatrician. If your child's tingling hands are uncomfortable and last for a long period of time, consult your physician to determine if there is an underlying condition and to develop an appropriate treatment. The doctor should check your child's nervous system to determine if the tingling has a neurological bases and if it poses a serious health risk.